I would like to receive occasional information and updates from Great Gatsby Summer ball - 2018 and jumblebee. On the 16th June 2018, the Friends of Dulwich Prep London will be hosting a charity black tie summer ball in aid of the Paediatric Intensive Care Unit at King’s College Hospital. 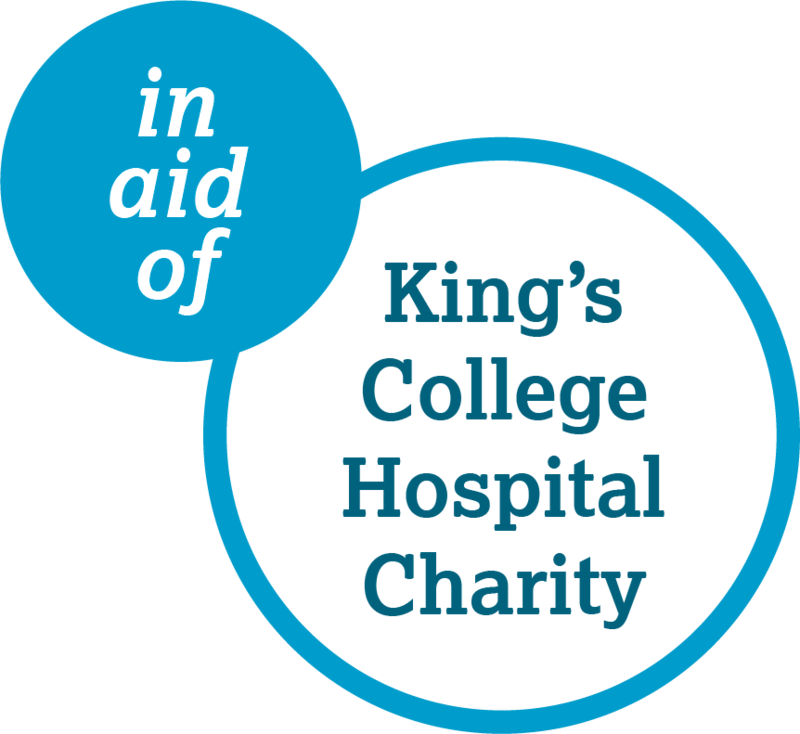 The aim of the event is to raise £35,000 to purchase an echocardiogram machine for assessing heart and liver function in children on the intensive care unit, the liver ward and elsewhere at King’s. The machine has numerous educational and monitoring benefits, and as it is portable, intensive care patients will be able to receive on-ward assessments, saving critical time where seconds count. Bidding on this auction is available online until 12 noon on Friday 15th June, 2018. 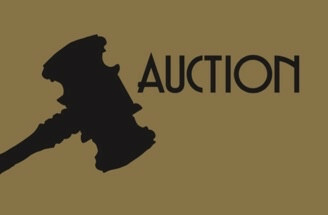 If you are unable to attend the Ball, but are interested in bidding on any of the items, you can still do so by placing a proxy (or maximum) bid on this page. After online bidding closes, your maximum bid will be carried over to the Ball on Saturday 16th June, 2018 where bidding will continue on your behalf up to your maximum. 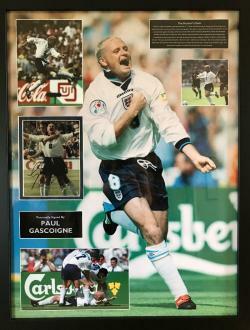 If you are still the highest bidder at the end of the evening, you will be contacted after the Ball. A day hosted by the Saracens coaching staff for two people. Watch the team train, sit in on team meetings and have breakfast or lunch with staff and team. The prize also includes two match day tickets for the game on the following weekend to watch the boys pull it all together. A money can’t buy opportunity to watch one of England’s top teams in action. 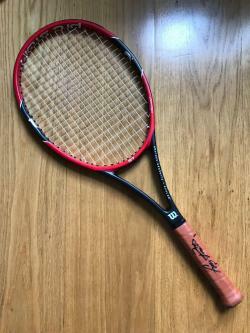 The choice of match is to be confirmed by mutual agreement. The winner of this prize will be able to host up to 16 friends in a luxury private box at a well-known music venue in London on Tuesday 23rd October 2018 to watch Irish Rockers U2 on their ’eXPERIENCE + iNNOCENCE’ tour. You will be able to relax in the comfort of your private suite or enjoy uninterrupted views of the stage from padded seats on your own balcony. Catering can be arranged separately upon request. 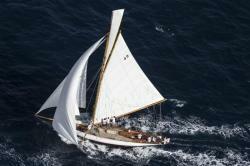 This is a superb opportunity for two people to participate in two days of classic yacht racing on board ‘Tigris’ at the Cannes Royal Regatta which takes place in the week starting Monday 24th September 2018. Crew dinners are also included. Tigris is an Alfred Mylne designed, 52 feet, 20 tonne gaff rigged cutter built in 1899 on the Clyde. While sailing experience is not mandatory, participants need to be fit, healthy and able to move about the boat easily. The two days of participation during the regatta will be agreed by mutual consent. “I have seven golf clubs. If I had to I could give all of them up, except Loch Lomond”, Ernie Els. We are delighted to be able to offer two rounds of golf for three people at the exclusive Loch Lomond Club. As Loch Lomond is a private club, with no access to non-members, the lucky winner will be accompanied by the donor who is also including food and refreshments to make this a truly once in a lifetime experience. Renowned American course designer Tom Weiskopf heralded Loch Lomond Golf Club in Dunbartonshire, Scotland, as his "lasting memorial to golf" after the course’s opening in 1993. The clubhouse, an ancestral home dating back to 1773, is every bit as emphatic. It also has a world class spa in the grounds. The course and club are consistently ranked among the world’s finest and have held prestigious events such as the Scottish Open and the Solheim Cup. Depending on dates one of these rounds could be taken nearby at the club's sister course, Dundonald Links, the venue for the 2017 Scottish Open. The successful bidders will need to arrange and pay for their travel and accommodation. Dates are to be confirmed by mutual agreement. 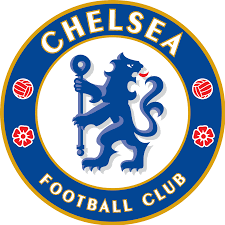 This fantastic lot is for Executive Club tickets for two for a Chelsea home game. The most exclusive offering at Stamford Bridge, the Executive Club offers fine dining and top-level service coupled with luxury seating on the half-way line, directly over the dugouts with magnificent panoramic views of the stadium. The seats are centrally located luxury padded seats in the East Stand middle tier, directly overlooking the dugouts. In addition to the premium seats the winners will also benefit from a full hospitality package including champagne and canapes on arrival and food and drink during and after the match with waitress service. The tickets can be used for any home game by agreement with the donor. Please note that the space is only available during term time and is for drop off and pick up only. 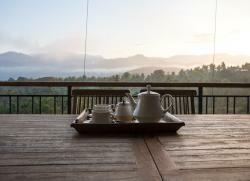 Subashri is a stunning spacious villa, with breath-taking views & warm hospitality. Relax in our infinity pool as you take in the soothing landscape of Sri-Lanka's central province framed by the Knuckles Mountain Range. Our resident staff of 3 will take care of your needs while you enjoy your space and the local amenities offered by the Victoria Golf & Country Resort from a round of golf at one of the world most scenic golf courses or a walk or run along the many nature trails. Subashri is located by the 3rd Fairway and as a resident of Subashri, you will have full access to the Golf Club and only have to pay green fees for a round of golf. The living-room has a speaker to which you can connect your Apple or Android devise for playing your music. It also has TV & DVD player as well as Satellite TV. The entertainment room is located by the pool. It has a Smart TV, DVD player, Wii console, as well as board games and DVDs. This room has 2 single sofa beds that can be made up to provide you a 5th bedroom. For your convenience we have Ayurveda massage therapists and yoga instructors who can visit the villa. Our cook mainly prepares local cuisine with vegetables grown in our own garden or bought fresh from the daily farmers market where organic vegetables are also available along with fresh fish and meats. The world heritage city of Kandy is a 30minute drive away. Day trips are also possible to other ancient cities such as Dambula & Sigiriya. The Knuckles mountain range offer many hikes through tea estates and jungle, passing many water falls on the way offering spectacular views. If you like white water rafting, you can do that too in Kitulgala where there are some great rapids and some fantastic hikes. There is something to be said about white-water rafting in warm water! Sri Lanka is also surrounded by some amazing beaches. Depending on the time of year the sea is calmer on one side or the other. Sri Lanka is home to a large verity of marine life and visited by two whale super pods and home to one. There are many local operators who organise diving, and whale/ dolphin watching excursions. Dates to be agreed with the donors. Please note that £250 of the amount bid will be used to cover the costs of staff, electricity and cleaning for the duration of your stay. 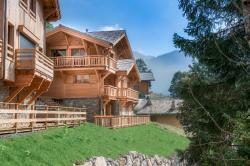 This lot is for one week at Chalet Vorlaz, Morzine, to be taken September-November 2018 or May-November 2019, the date to be confirmed with the owner. The chalet was completed in June 2016 and is located in the beautiful Vallee de la Manche, about 20-25 mins walk from the town centre. The chalet comfortably accommodates 10 adults in five luxurious bedrooms and there is a set of bunk beds in the TV room which can be used depending on the occupancy of the rest of the chalet. Three of the bedroom have en-suites and there are two further shower/bathrooms. We can provide cots for babies in all of our bedrooms if required. Most of the top floor is open plan with a large lounge and dining area with a wood fire, wooden flooring and panoramic views of the entire valley. There is also an open-plan kitchen with an island unit that separates it from the dining area. There is also a large balcony, with which can be accessed from the dining area and faces down towards the Nyon lift and Morzine beyond. There is a desk area with an iMac computer and internet access. TV, DVD and Sonos are also provided on this floor. The five bedrooms are located on the middle and lower floors. They all have accessible balconies with views up and down the beautiful Vallee de la Manche, double wardrobes and can be made up as either twins or doubles (superking beds - 198cm x 180cm). Bedroom 1 has views down towards the Nyon lift and has an en-suite bathroom, accessed through a sliding door with both a large shower and spa-bath. Bedroom 2 is the middle bedroom on the middle floor and has its own shower room immediately opposite the bedroom. Bedroom 3 faces towards the end of the Vallee and has an en-suite shower room. Bedroom 4 has views up the Valley and has an en-suite shower room. The outside jacuzzi area is adjacent to this room and can be accessed directly from the balcony. Bedroom 5 is the middle bedroom on the lower floor and the jacuzzi can also be accessed directly from its balcony. Bathroom - large bathroom with separate shower. TV Room - sofas, widescreen TV and Sonos Playbar. There are also bunk beds which are suitable for kids or adults. Bedroom 5, in combination with the TV room and bathroom, makes a great family suite. 1 week's holiday during October half term 2018 in an architect designed contemporary holiday house minutes from Camber Sands beach! Beautifully decorated and well equipped for families comprising 4 bedrooms, 3 bathrooms, comfortably sleeping 10. With 2 double bedrooms with ensuites, a twin bedroom and a double bunk bedded room this is perfect for a large family or a group of friends. It also has a large kitchen/diner/living room and an additional living and utility room. The property also offers an outside patio area with BBQ for warmer evenings set in a dunescape communal garden. The house is within easy reach of Camber Sands beach and its watersports and safe swimming spots, 3 miles from the medieval town of Rye and its independent shops and cafes. 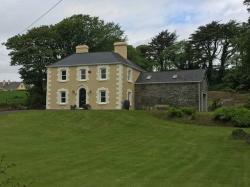 A lovely detached period property 15 minutes from Clonakilty and less than 10 minutes from Rosscarbery, Unionhall and Castletownshend in West Cork. This lovely house is perfect for those who want to explore this beautiful part of the country along the Wild Atlantic Way. 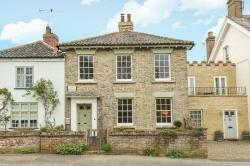 The accommodation has nearly 2 acres of sloping gardens, 4/5 bedrooms/playroom, kitchen, 2 reception rooms and 3 bathrooms. The house can sleep up to 10, but sleeps 8 comfortably. There are the most fascinating places to visit with a fantastic selection of shops, restaurants and pubs in the villages and towns nearby. There are also lots of golf courses, sailing and fishing at the nearby villages, attractions such as Model Railway Village which is delightful and if you prefer beaches, there are lots nearby including, Incydoney, The Warren and Owenahincha. For those who like hiking the location couldn't be better with the start of Carrigfadda hill walk located at the front gate right beside St. Peter's church. A truly lovely house to be enjoyed at any time of the year. The week is to be taken Saturday-Saturday in July/August 2018 or April-August 2019 by agreement with the owners. Fancy a break in scenic New England? 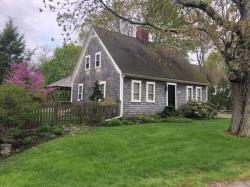 Bid for a stay during October half term in a classic "Cape" in quaint seacoast New Hampshire. One hour's drive from Boston Logan airport and half a mile from vast sandy beaches, this holiday home has rustic charm with all the mod cons, including a large garden and your own vintage camper for the kids to hang out in! Rye, New Hampshire, is a convenient base for exploring all that New England has to offer. Nearby is the historic town of Portsmouth, with its boutique shops, restaurants and museums, or drive a few hours to the White Mountains or Maine's Acadia National Park. With half term coming early this year, you could even enjoy a proper American Halloween as well as the gorgeous fall colours that New England is famous for! The house has four double bedrooms (sleeping up to 9 guests), two full baths, downstairs WC, fully fitted eat-in kitchen, lounge with open fireplace, tv room and playroom. Outside there is a partially covered patio dining area, gas grill and fire pit. 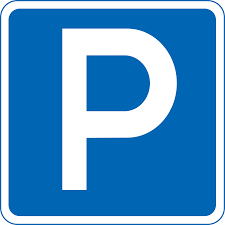 Parking is available for two cars. Wifi and Apple TV are provided but not terrestrial/cable TV. 4 bedroom, 3 bathroom detached townhouse on a private gated development on Guadalmina Golf Course, 10 minutes from the famous Puerto Banus. The villa has views over the golf course and has use of two swimming pools within the development. There are many restaurants and shops in nearby San Pedro and the beach is a 5 minute drive away. It is a 45 minute drive from both Malaga airport or Gibraltar. The week to be agreed by mutual consent. The property is not available in August or September 2018. Sitting Room: Lovely room overlooking the green evoking the British seaside with 2 large deckchair striped sofas and a new classically styled wood burning stove for embracing your inner hygge on those lazy afternoons. There is a Flatscreen HD TV with complete Sky package and the added bonus of wireless broadband. The stairs are not steep with a banister and a rope hand rail. A week in a family’s much loved beach house in Camber Sands, East Sussex during 2019, at a date to be agreed. 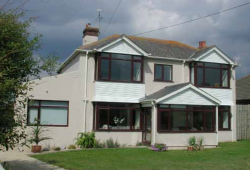 Links End is a recently modernised Edwardian house directly opposite Camber Sands, a sandy, seven-mile Blue Flag beach. Comforably sleeping twelve, fully equipped and with spacious entertaining areas inside and out, the house is ideal for a holiday or short seaside break. The house has six beds and three bathrooms, and sleeps a maximum of twelve people, including children (but not babies). 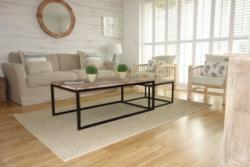 It is located at the foot of the dunes, two minutes walk from the beautiful Camber Sands beach. The perfect house for two families to share. There are two travel cots and two high chairs, one without a harness. All bedding and towels are provided. Accommodation consists of a sun porch, sitting room, dining room, kitchen, utility room, conservatory/breakfast room, cloakroom, six double bedrooms and three bathrooms. The house is light and bright, with wooden floors throughout. It further benefits from large enclosed private gardens to the front and rear. The spacious kitchen is fully equipped with crockery, glasses, cooking utensils and cutlery for twelve people. There is a double oven, dishwasher, microwave, two fridges and a freezer. Tea towels are provided and there are plenty of empty cupboards for your supplies. All rooms are decorated in a relaxed beach style. There are five doubles and one twin-bedroom with an additional futon. Two of the bathrooms have a bath and power shower. The third en-suite bathroom only has a bath. There are three lavatories in the house. The dining room table, picnic table outside and table in the conservatory all seat twelve. Sky TV and DVD/video player, with a selection of films. Wifi, towels and linen included. No pets permitted, unfortunately. In the nearby area there is golf at the famous links course at Rye Golf Club, wine tasting at the Chapel Down Winery near Tenterden, cliff walks along the Firehills to Hastings, antique shops and cobbled streets to explore in the ancient cinque port of Rye. 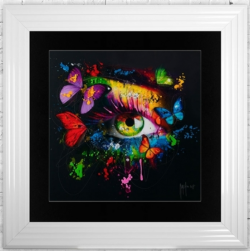 This framed artwork would make an impact on any wall. A textured piece, with resin applied to the top of the glass to add an extra dimension to this visually stunning piece. These pictures both come from limited edition print runs of just 20 prints, and are certified by the EMI archive. 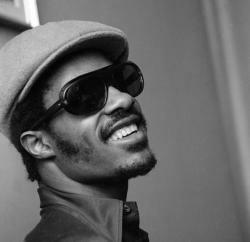 Stevie Wonder photographed in London, January 1973. Stevie is pictured at The Royal Garden Hotel, Kensington during a visit to promote the single, Superstition (from the 1972 album Talking Book). He also appeared on a Burt Bacharach TV special, recorded in London. This is print 9 of 20 exclusive photos stamped and authenticated by the EMI Archive. Marvin Gaye photographed in London, February 1981. His final LP for Motown, In Our Lifetime, was released the previous month. Marvin recorded a substantial part of the album at the Odyssey and AIR recording studios in 1980, when he was living in London. Motown Records was founded by Berry Gordy Jr. in Detroit, Michigan USA in 1959. Motown Records is one of the most distinctive, influential forces in popular music of the past half-century. Gordy and his small, self-sufficient team of songwriters, producers and musicians discovered and developed the careers of such extraordinary superstars as Smokey Robinson, Diana Ross, Marvin Gaye, Michael Jackson, Stevie Wonder, Lionel Richie and many more. In Detroit, the company’s basement studio was the heartbeat of “the Motown Sound,” shaped by a cadre of jazz-schooled session players whose funk and soul went on to influence generations of musicians, then and now. For a period during the 1970s, it was the largest black-owned business in America. Motown moved in 1972 from Detroit to Los Angeles, where it shaped a new wave of stars with global popularity, including the Commodores, Rick James, Teena Marie, DeBarge and Boyz II Men. A hand made cube coffee table, this piece has been hand made by Goldfinch Furniture (www.goldfinchfurniture.co.uk) in Bermondsey; South London. 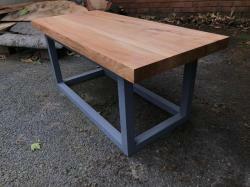 It’s made from sustainably sourced wild Ash from the Chilterns and the frame has been sprayed matt grey. Tickets for two for Falstaff at the Royal Opera House on Saturday 7th July at 7:30pm, this is the first performance of Falstaff in the Royal Opera House's 2017-18 season. The seats are in row A in the Stalls Circle, the lot also includes vouchers for two glasses of champagne and a voucher for a programme. 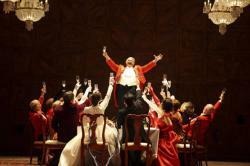 Falstaff is a comic opera composed by Verdi and stars the brilliant bass-baritone Bryn Terfel. This is a unique opportunity to have a 20 minute recital of operatic favourites in your own home. 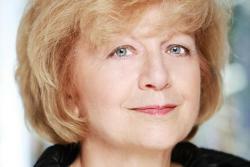 The recital will be given by one of Britain's leading sopranos, Kate Royal. The winner must have a good quality piano in their home. Win two top-category tickets to the concert of your choice in the Barbican Hall and enjoy a pre-concert dinner for two at the award-winning Osteria restaurant, located at the Barbican Centre. You can make your choice of concert – whether that be classical, jazz, soul, world or rock – for any performance before 31st December 2018. This lot is for two Royal Box seats to see Taylor Swift at Wembley Stadium on Saturday 23rd June 2018. Not only will you get to see a fantastic show, but you can also be assured of great views! This is one of only two London dates for Taylor Swift's Reputation tour, she will be supported by Charlie XCX and Camillla Cabello. British cellist Josephine Knight is among the most sought-after performers of her generation. Known for the great breadth of her activities and versatility as a soloist, chamber musician and as a pedagogue, Josephine has performed as a soloist with leading orchestras in the U.K. and abroad, including appearances with the London Symphony Orchestra, the London Philharmonic, the Philharmonia, the BBC National Orchestra of Wales, the BBC Scottish Symphony and the Royal Liverpool Philharmonic working with distinguished conductors such as Sir Colin Davis, Edward Gardner, Richard Hickox and Vasily Petrenko. In 2005 Josephine made her BBC Proms concerto debut at the Royal Albert Hall. She has recorded as a soloist for EMI Classics, Deutsche Grammophon and Chandos and has performed in all the most renowned concert halls and prominent festivals worldwide. 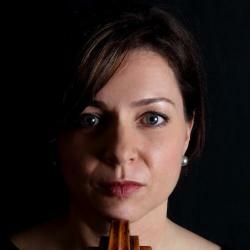 Josephine holds the Alfredo Piatti Chair at the Royal Academy of Music in London, where she is a professor of cello. Her own studies predominantly with Also Parisot at Yale University and the Juilliard School in New York, have given her artistic influence which forges exceptional career trajectories for new generations of cello students. 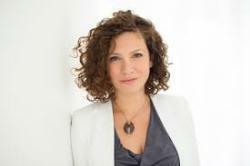 She is artistic director of the Academy Cello Ensemble. Josephine plays on a 1728 Johannes Guidantus purchased from Florian Leonhard. Deniz Arman Gelenbe has been acclaimed as one the best chamber musicians of our time. Critics have been unanimous in hailing her prodigious technique, compelling artistic personality and poetic interpretation. As a versatile artist, she combines an international performing career as a soloist and chamber musician, and teaching piano and chamber music at the highest level. This lesson will take place at the London residence of Deniz Arman Gelenbe, the date to be confirmed by mutual agreement. 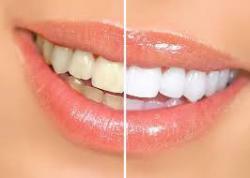 Teeth whitening is one of the easiest ways to improve your appearance. Whiter teeth can boost your confidence and self-esteem. Drinking coffee, tea, cola or red wine, and smoking eventually takes a toll on teeth. The results are dull, yellow coloured teeth. 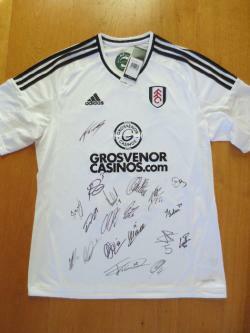 The winning bidder will receive a tooth whitening procedure at Surrey Docks Dental Practice. We use the Nite-White home applied system with custom fit bleaching trays, requiring applications at night over two weeks and two visits to the practice. This teeth whitening system can whiten teeth by up to several shades, brightening your teeth dramatically. Please note that you must be up to date with your check ups and that whitening may not be suitable should you have crowns or veneers on your anterior teeth which will not be lightened. This map and parking information leaflet was produced for the acclaimed ITV series, Broadchurch. It has been signed by Olivia Colman and David Tennant. This is your chance to win a parking space directly opposite the school, at 39 Alleyn Park, for a whole academic year. Please note this space is available during term time only, September 2018 - July 2019, for drop-off and pick-up only. Typically this will be a 20 minute window between 7.45-9.00am and 3.00-5.30pm except on the last day of term when the space will be available between 12.00-1.00pm for pick-up. Please respect the fact that this is a private residence, and please note rare but occasional restrictions may apply. The Sky Soundbox is a well-specified soundbar: Bluetooth connectivity, a digital optical input, and HDMI in and out are all included. Sound is delivered by three 2in full-range drivers, reinforced by six 3in woofers. This single speaker offers full home cinema quality, with no need to wire around the entire room. Simply plug in your Soundbox and play! Powerful bass, dynamic volume. Superior engineering has created huge power and bass from a single box, with no need for an external subwoofer. Volume levels are automatically adjusted to ensure clarity, letting you sit back without constantly fiddling with the remote. There is no need to be a Sky customer for this Soundbox to work with your TV. 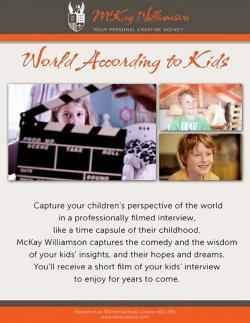 Capture your children's view on the world in a professionally filmed interview, like a time capsule of their childhood. McKay Williamson captures the comedy and wisdom of your child's insights and their hopes and dreams. This prize is valid for filming up to two children. You'll receive a short film of the interview to chuckle at for years to come. The shoot must be booked within 90 days of winning this prize. The prize is valid for filming World According to Kids interviews of up to two children, by appointment at the McKay Williamson studios in Notting Hill within 12 months. Filming of additional children, on location or further editing of the video itself are available at standard rates. Not to be used in conjunction with other offers. Previous winners are not eligible. McKay Williamson is the only agency where Mark Seliger, Derrick Santini, Gered Mankowitz, James Blake, Rosie Cohe and many others, can be booked privately. The selection of photographer is subject to availability of the photographers and at the sole discretion of McKay Williamson. 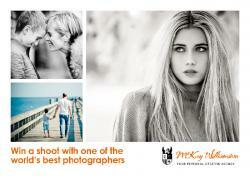 The shoot must be booked within 90 days of winning this prize and used within 12 months. This lot is valid for a family with up to two adults and four children. The photographer will travel free of charge within a 10 mile radius of the studio in Tribeca or within 20 miles of the studio in Notting Hill. Anything additional, more time, people or travel, may incur a fee. After the shoot, the images will be available to view by appointment, at the McKay Williamson studio in Notting Hill or Tribeca. Imagine not having to worry about parking at school! This is your chance to win a parking space on Alleyn Park at the house of Chairman of the school's Governing Body for a whole academic year. Please note that the space is available during term time only, September 2018 - July 2019. The space is for drop-off and pick-up only. Typically this will be a 20 minute window 7.30-9.00am and 3.00-5.30pm except on the last day term when the space will be available 12.00-1.00pm. Please respect the fact that this space is at a private residence. Pembroke Tutors, an award winning London based education company and finalist at the Education Investor Awards, is offering 5 one and a half hour long lessons with one of their most experienced maths and science super tutors. This is a teacher with over five years' tuition experience who has worked for royalty, Hollywood stars and (most importantly) headteachers' children! This is an amazing opportunity to be taken up in a Xtremeair XA42 aircraft, the same model of plane used in the Red Bull racing competitions. 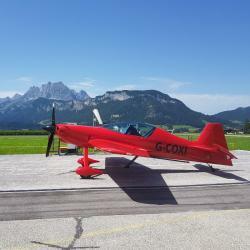 The owner will take you up personally for a 30 minute aerobatic flight and will perform some air stunts that will test your constitution. The winner of this lot will be able to experience driving a BMW i8 for a weekend. 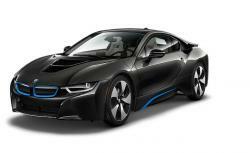 BMW’s approach when introducing the i8 was to create an eco-friendly car that appealed for more than just fuel-efficiency. Looking like it has driven straight off a stylist’s drawing board, the i8 has a concept-car appearance never fails to turn heads. The weekend will be Friday-Sunday. Dates and model are subject to availability. Driver must be older than 25 years and must hold a full UK drivers licence. This is a unique opportunity to have Afternoon Tea in the House of Lords for up to 6 people including tour (hosted by Lord & Lady Rennard). Depending on the winners’ preferences and the weather, tea could be taken either on the terrace of the Lords or the Peers Dining Room inside. The date to be confirmed by mutual consent. 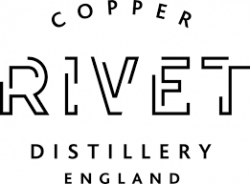 Copper Rivet Distillery in Chatham's Historic Royal Dockyard is one of only a handful of craft distilleries where spirit is distilled from grain to glass. And it's the only craft distillery in the UK to have grain grown in local fields especially for the distillery. All of its spirits (Vela Vodka, Dockyard Gin and Son of a Gun) have won gold or silver awards at the San Francisco World Spirits Competition and the International Wine and Spirits Challenge. The lucky winners will experience a dedicated tour and tutored tasting for four from our Head Distiller (including our yet to be released single malt whisky barrel number 1 as tasted by HRH The Princess Royal when she officially opened the distillery) and we'll distil our own gin together before heading into our bar to sample the spirits in cocktail form. Then we'll move on for a deluxe lunch. 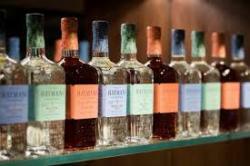 Hayman's are delighted to donate a private distillery tour for up to 20 people. Their new distillery is conveniently located in Balham. The group will be greeted at the bar, then go on a tour of the distillery in Balham to find out how Hayman's make gin, have a chance to explore the botanicals in the laboratory, tasting of the Hayman's range followed by another Hayman’s and Tonic at the bar with some nibbles/bar snacks. Hayman's can tailor the tour element to suit the people coming. 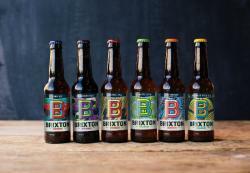 Brixton Brewery is one of London’s established craft breweries, making beer in the heart of one of London’s most colourful and famous neighbourhoods. This lot is for a tour of the brewery, with tasting, for four people. We are delighted to offer a truly unique experience, the opportunity for two people to have behind the scenes access to BBC Radio 4's flagship Today programme. Today has been voted the most influential news programme in Britain in setting the political agenda and has around 7 million listeners per week. It was voted the Best National Speech Breakfast Show at the 2016 Radio Academy Awards. The lucky winners will be able to sit with the programme's production team during a broadcast and experience how this influential news and current affairs programme is put together and broadcast. Initial consultation with local architect Paul Turner. Paul will visit your home and offer ideas for what you could do. An initial discussion might include some sketches, a rough estimate for the cost of your project, and advice about any planning or structural work you might need to consider. You’ll certainly leave inspired and informed. 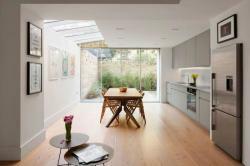 Paul specialises in creating beautiful, functional homes. Teeth whitening is one of the easiest ways to improve your appearance. Whiter teeth can boost your confidence and self-esteem. Drinking coffee, tea, cola or red wine, and smoking eventually takes a toll on teeth. The results are dull, yellow coloured teeth. Antibiotics can also cause darker grey-coloured stains. The winning bidder will receive a tooth whitening procedure at Wimpole Street Dental Care tailored to their dentition and supplied with custom fit bleaching trays for future maintenance. 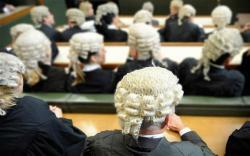 This is an opportunity for someone to gain a week's work experience with Stephen Vullo, a prominent criminal QC. This work experience is open to over 16s only, and it should be noted that some of the subject matter covered in the week may include extreme physical and/or sexual violence depending on the cases covered during the week. 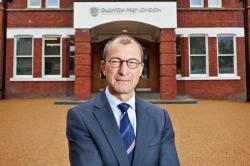 Give your son an opportunity to be Headmaster of Dulwich Prep London for the day. 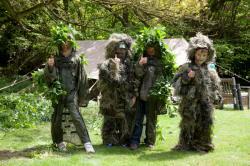 A Survival Sharky & George children’s party for up to 20 children (aged 7-14) on a weekday within the M25. Two of the highly energetic and enthusiastic S&G team will take the children on an action-packed expedition into the woods. They will learn how to be sneaky snipers, make a fire without using any matches, build shelters, catapult water bombs and cover themselves in camo paint! 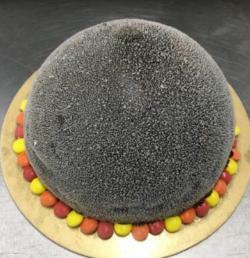 Fabulous Fire Ices East Dulwich will make a gelato cake for your to your specifications. This lot is for a two-hour consultation with Richard Dudzicki, Director of award winning RDA Architects based in Dulwich. The appointment can take place either at your location or in RDA’s offices. Harriet’s approach is to show people how to be in total partnership with themselves in every area of life. Overwhelming, destructive habits, low confidence and a lack of contentment become a thing of the past, replaced with success, confidence, fulfilment, emotional and physical wellbeing and happiness. She is certified in health & wellbeing by the Institute for Integrative Nutrition, New York, and women’s leadership movement One of Many. A dog for a day! This is your chance to borrow a dog for a day, a fantastic opportunity to have some furry company without the commitment of becoming dog owners. 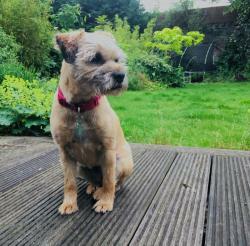 Trousers the dog has previously been on "borrowmydoggy.com" and is happy to spend time with new people and children. Pick up any time from 8am (she will have been fed that morning). You will receive 30 minutes 'dog training' - what she eats, how to hold her, how to approach a dog you haven't met, how to walk her safely etc. A 'dog pack' for the day will be given to you - food for her early evening meal, bowls, blanket, lead, dog treats etc. This lot is for four debenture tickets for Sunday 12th August 2018, the fourth day of the England vs India Test match at Lord's. 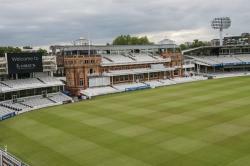 The tickets are in an exclusive area at the front of the Upper Mound stand with unrivalled view of the action as well as access to a private bar area throughout the day. Also included is a table reserved in the dining area of the stand overlooking the pitch for lunch and afternoon tea (drinks not included). Please note that whilst Test matches normally take 5 days there is a small risk that the game could finish before the 4th day. 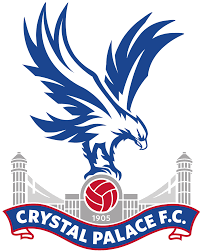 The tickets are for a grade B/C home game, the date to be agreed with Crystal Palace Football Club. 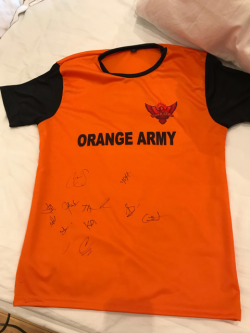 This shirt has been signed by this season's Hyderabad Sunrisers' Indian Premier League team. This is an opportunity to have an hour's master class with Daniel Bell-Drummond. 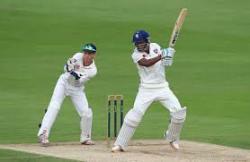 Daniel Bell-Drummond is an English professional cricketer, who plays for Kent County Cricket Club as an opening batsman. He has represented England at youth level and has played for the England Lions cricket team at the senior level and was signed as injury cover by the Rajshahi Kings during the 2017–18 Bangladesh Premier League season. Daniel is also a Prep Old Boy. The session will take place at the school. 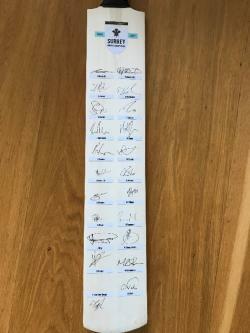 This lot is for a limited edition (207/220) cricket bat signed by the 2017 Surrey County Cricket Club team. 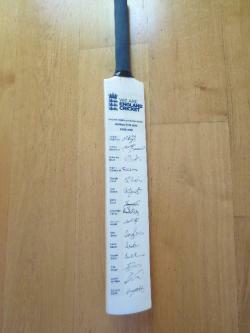 This bat has been signed by the England Women's team who won the 2016 T20 series against Pakistan. 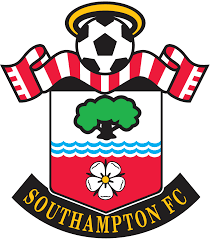 The winning bidder will have a Southampton FC top personalised and signed for them by Nathan Redmond.